Before his fame and acclaim, Leonard Cohen published this short poem in a 1961 collection called The Spice-Box of Earth. They were new words from an apparently old soul. Bittersweet, filled with regret, the poem is a brilliant twenty-four word realization that something very special was gone. It is stark, simple and stripped-down, where what is left is all that matters, like Hemingway removing his adjectives or Eric Clapton stressing the silence between the notes of his guitar solos. So what is left? Presumably a young man thinking about his former lover. There is no explanation as to why the separation occurred but its reason is secondary to what he is experiencing in the current moment, and that is the discovery that he has been forced, perhaps by his own behaviour, deeper into adulthood and cynicism. Annie is gone and, in his hindsight, so too is the pure, idealistic love that he unknowingly had. Suddenly the world seems large and empty, the man-child is insignificant, and the concept of how to proceed is daunting. In order to protect his ego and heal his wounds, he initially tries to remove himself from emotion. Annie becomes Anne. A name that is cute, tender and innocent is now more formal, stiff, detached. Despite the obvious feelings that remain, he attempts to create separation. The poem is not “To Anne’”. It is more formally “For Anne”, as if he was only addressing an acquaintance. The title implies he is trying to be aloof, but he is quickly exposed and the poem’s first three words open the floodgates to his remaining emotion. 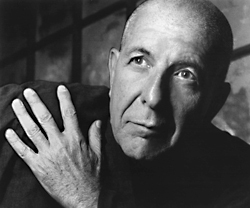 Leonard Cohen’s first book of poetry, written in 1956 when he was a student at McGill University in Montreal, was called “Let Us Compare Mythologies”. In this poem, Annie has become his mythology. She is a story that he is re-reading. He may progress. But not yet. He is stuck. The word “compare” appears three times, more than any other word. It is the action in which he is trapped, like a hamster on a wheel. The end result of “For Anne” is that there isn’t yet an end result. There is just the realization that what he had, and what he didn’t appreciate when he had the chance, is gone. But only because it is gone could he discover what he had in the first place. Leonard Norman Cohen is a Canadian singer-songwriter, poet and novelist. Cohen published his first book of poetry in Montreal in 1956 and his first novel in 1963. Cohen’s earliest songs (many of which appeared on the 1968 album Songs of Leonard Cohen) were rooted in European folk music melodies and instrumentation, sung in a high baritone. The 1970s were a musically restless period in which his influences broadened to encompass pop, cabaret, and world music. Since the 1980s he has typically sung in lower registers (bass baritone, sometimes bass), with accompaniment from electronic synthesizers and female backing singers. His work often explores the themes of religion, isolation, sexuality, and complex interpersonal relationships. Cohen’s songs and poetry have influenced many other singer-songwriters, and more than a thousand renditions of his work have been recorded. He has been inducted into the Canadian Music Hall of Fame and the Canadian Songwriters Hall of Fame and is also a Companion of the Order of Canada, the nation’s highest civilian honour. Cohen was inducted into the Rock and Roll Hall of Fame on March 10, 2008 for his status among the “highest and most influential echelon of songwriters”. Leonard Norman Cohen. (2014). The Biography.com website. 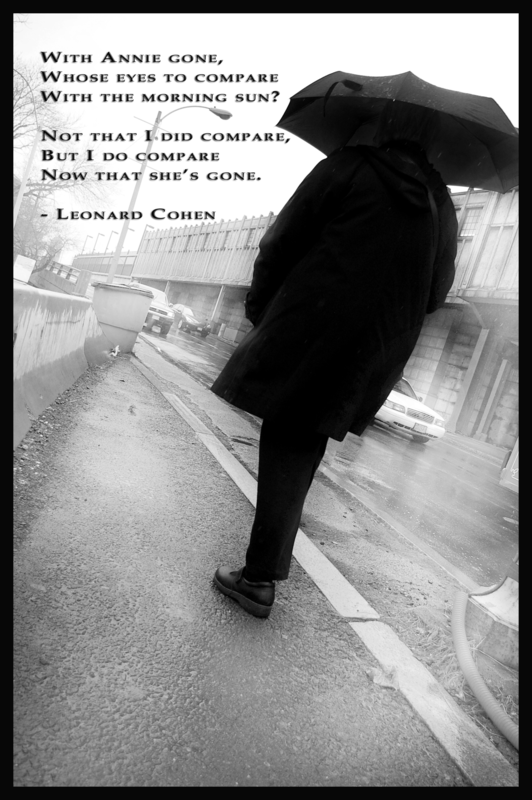 Retrieved 10:18, May 27, 2014, fromhttp://www.biography.com/people/leonard-cohen-9252529. What a wonderful review. Gives me new insight into Cohen’s work.